Paper presented by Dr. Rajiv Chandramohan at AusIMM Mill Operators Conference, Brisbane, August 2018. The Phu Kham Copper-Gold Operation (Phu Kham) is located in northern Laos, approximately 140 kilometres from the capital, Vientiane. The Operation is a producing asset for Australian-based copper and gold producer, PanAust Limited (PanAust) and is operated by Lao-registered company, Phu Bia Mining Limited (Phu Bia Mining). PanAust hold a 90 % interest in Phu Bia Mining. The Government of Laos own the remaining 10 %. 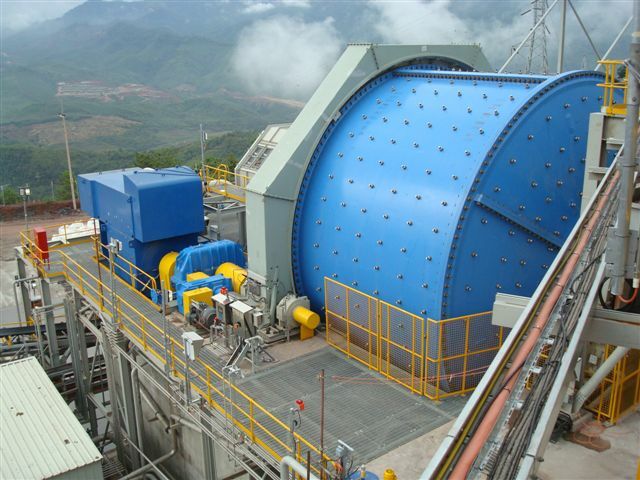 The Phu Kham Operation has recently undergone a series of process improvements to treat the anticipated competent ores scheduled for 2017 and 2018. The Operation’s comminution circuit, which comprises of a semi-autogenous (SAG) mill and two ball mills, each with 13 megawatts (MW) of installed power, was expected to be SAG mill limited when treating competent basement rock. Ausenco Services Pty Ltd (Ausenco), was engaged to help optimise and enhance the productivity of the Phu Kham comminution circuit over an eight-month period. The work involved participating in and overseeing the redesign of the SAG mill liner systems and developing operational strategies for maximising throughput through to the end of mine life. Ausenco’s comminution optimisation tool, Ausgrind, was used to benchmark and analyse plant data with empirical models, predict circuit performance for varying ore characteristics and evaluate liner wear and predict the life of varying operating parameters. Variances between the actual and the predicted values were assessed in detail to identify missed opportunities, and guiding operating parameters were redefined to maximise throughput and productivity. For more information, please contact Dr. Rajiv Chandramohan. For information on the 14th AusIMM Mill Operators’ Conference 2018, go to http://milloperators.ausimm.com/.